After multiple postponements, Rajnikanth’s Kaala has finally locked the release date as June 7th. 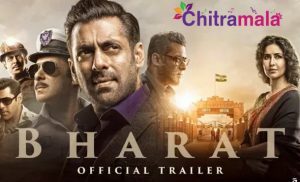 The makers are very much happy that the film has got the release date and hence they also started promoting the film in an aggressive manner. The latest interesting buzz is that the film is going to release along with another biggie Jurassic World Fallen Kingdom. Steven Spielberg’s fifth installment in the Jurassic Park franchise is Jurassic World Fallen Kingdom. The movie is all set to hit the silver screens on June 7th. The trade is very much excited to see this unique battle that is happening between two big projects at the box office. Though the regional market might not be affected, the release of Jurassic Park will surely have some effect on Kaala’s release. Directed by P A Ranjith, Dhanush Produced Kaala Under Wunderbar Films Private limited. Huma Qureshi, Nana Patekar, Eshwari Rao and others are a part of the project.